One of the projects I've worked on in the past that gets the most "Hey do you have any more of those???" 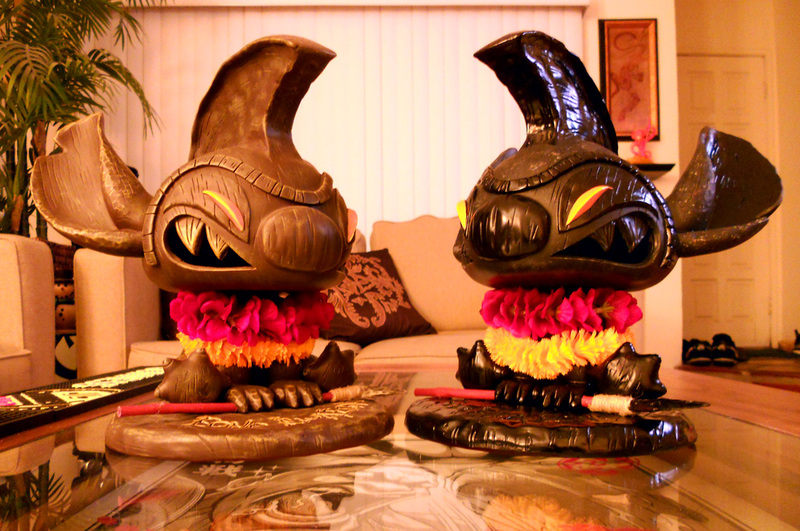 is the Tiki Stitch that Mindstyle released a couple of years ago. Unfortunately, I think that one sold out. Fortunately, they released a 2nd "Lava" version that I finally got to see at this years San Diego Comic-con. "Lava" Stitch is an exact replica as far as size and detail, the only difference is that's he's painted this crazy lava rock black. He looks a bit more menacing, in a Darth Vader sorta way which I like. You can get this devilish guy over at Action Figure Express.